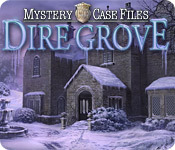 Mystery Case Files: Dire Grove is rated 4.6 out of 5 by 321. 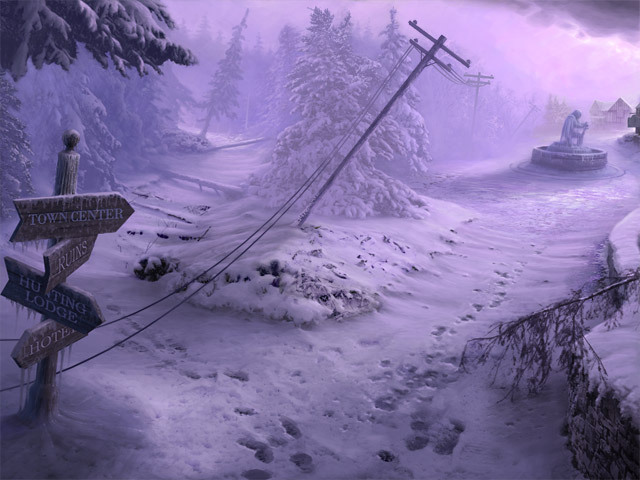 Rated 5 out of 5 by marplasto from Great mystery game Lovely winter setting in a rural snowy area. Music that does not annoy. Good puzzles, good interaction between objects and environment. The only negative is the quality of the HO scenes - too cluttered with objects that were sometimes hard to recognise. OK considering the game is relatively old. Rated 5 out of 5 by J9CT from One Of MCF's Best!!! I've played Dire Grove - Sacred Grove so I knew I needed to try this game. Bought the CE but it would not play so BFG gave me credit to buy another game. I knew I was missing out so ended up buying the SE last month. Its very rare to find a game where you are completely alone but you are in this game which ups the creepy factor big time. The falling snow also adds to the game and did I feel chilly playing it. Cassette tapes that you find along the way is your only human contact which is great. Yes you don't get much help from hints and one has to use an online walkthrough to help with certain puzzles etc but it didn't detract from the game for me. Your journal also comes in handy now and then. Its a challenging, creepy and fun game. Yes its an old game but I wish MCF and others would keep making games like this, the more recent games are very generic. Rated 5 out of 5 by Alenee from The best of the Dire Grove series I downloaded this game after having played 'Dire Grove Sacred Grove' and wow, do I ever wish I would have bought this one first! There's no hand-holding so it takes a long time to figure things out - reminds me of the Vanishing Hitcher, that way - but isn't that what we play these games for? To figure mysteries out and spend a good few days on them, instead of just zipping right through in the space of a few hours? The plot has been perfectly summed up by others but here I go: you arrive in a small town where a Celtic relic has been unearthed and it's clear that something went badly wrong for a group of students who came here to learn more about it. You're tasked with finding them, and when you do you'll have the shivers for all kinds of reasons, both literal and metaphorical! I can't recall being so spooked by a game before (except the Vanishing Hitchhiker, again). You also get videos left behind by the vanished kids and the acting is spot-on, with just a few cheesy moments to lower the tone. But overall, it's just like playing the protagonist in a real life horror film. Amazing! Be warned: if you're used to the newer games (I'm writing this in 2016) you'll be frustrated at first because progress is slow and you have to use all your brain cells to put 2 and 2 together. The upside of this is that there aren't any illogical moments, when you come upon an obstacle, you have to find the same tools to overcome it that you would in real life, and you use them as you would in real life. The realism level for such an 'old' game is breathtaking, in my opinion. More of the modern developers should use this game as their model (at least as far as horror and chiller games are concerned). Great game! The next time I want to play something that I can't just sleepwalk through and forget about in the space of a day, I'll be buying from these guys / girls! Rated 5 out of 5 by SparkleGlow100 from OUTSTANDING & BRILLIANT…A STUNNING GAME…1,000,000,000,000 STARS FROM ME! (Game available at BFG since 2011, but if you’re up for the challenge, this game outshines many games of 2015-2016) ***BEAUTIFUL*** bitter-sweet*** captivating*** REALISTIC, snow scenes. Graphics are Amazing. But even more unusual than that, the STORY is just as AMAZING, from start to finish, builds atmosphere, and never lets up. The characters are likeable. It is a rare game that can present these factors at the same time. A BFG WALTHROUGH is AVAILABLE (I had to use it on numerous occasions). I’ll say straightaway that there’s***** NO HINT ***** except for in the HOPS, and *****NO MAP***** Also this game is NOTHING like Return to Ravenhurst, or Ravenhurst Unlocked or even Dire Grove Sacred Grove. A relic has been dug up in the English country-side. There’s a legend associated with the relic, and you go to investigate the occurrence of 4 missing archeology students. Falls into the category of horror, but I wouldn’t rate it above PG-13. Still, I wouldn’t recommend it for kids at all. GRAPHICS: CLEAR, beautiful graphics and scenes. Mix of real and generated, mainly a realistic look. Only full screen, not widescreen. HOPS: -30- Nice to look at. Straightforward wordlists. PUZZLES: A handful. Mixed ability. All skippable. SOUNDS: 3. Music, Ambient, Voice. HINT: ONLY for HOPS. 2 minutes to recharge. Use BFG Walkthrough. DIFFICULTY LEVELS: ONE MODE ONLY MAP: NONE INVENTORY: NOT lockable JOURNAL: YES. Your journal is very important in this game. CHARACTERS: Real people are used. They’re not even animated; it’s basically cut scenes/movies of real people. You find video tapes that are scattered around. It was perfect timing for me to play this game in August! The frozen world was a welcome change from the humidity and high temps! Rated 5 out of 5 by CajunJuJu30 from Great Game!!! I love the Mystery Case Files games and this is the first one I bought then I bought the Collector's Edition too. Overall great game, outstanding visual/sound quality, awesome storyline, absolutely fun and spooky. Rated 5 out of 5 by melnpete2009 from Played Several Times, Still Great I have played this game through quite a few times and it never gets easier the more I play it. It's a challenging game, and quite creepy overall, but it is still fun to play. Rated 5 out of 5 by Creepman from Starts where the last one left off! Review based on completed game. On your way back from Ravenhearst, you get caught in an unexpected snow storm! Looking for a place to stay, you decide to stop at the nearby town of Dire Grove. The town is completely deserted and plagued with unnatural cold. Soon after arriving, you discover that a group of post graduate college students have mysteriously disappeared while trying to prove the truth of an ages old folk tale. Many relics have been discovered in dig sites near Dire Grove. There was recently a new one uncovered. The students think that it is possible to open a portal to another world with all four of the relics. Can you solve the Mystery of Dire Grove and save the students from their tragic fates? 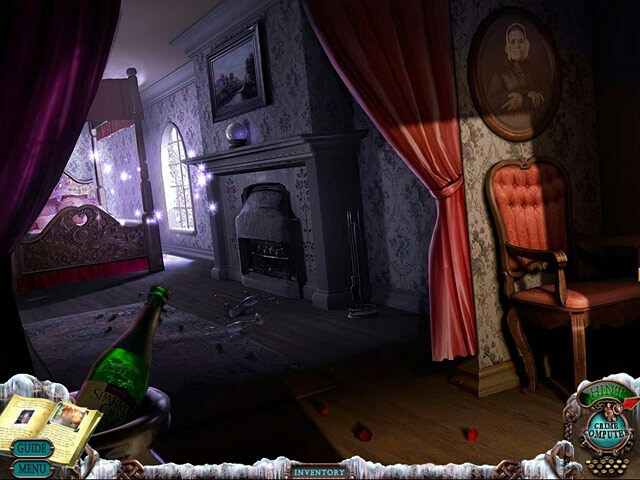 At the time of its release, this was the greatest hidden object game to date! My only regret is not buying the CE instead. Rated 5 out of 5 by paramiti from AMAZING SCARY ADVENTURE GAME BUY IT!!! LOVE THIS ADVENTURE GAME!! After playing the SE Twice I purchased the CE I do scare easily in the dark alone at night Playing a scary game This one did it for me And even after palying it the first time I still get scared I recommend buying the CE Instead of this SE You wont Regret It BUY IT!! Rated 5 out of 5 by PeteyPotpie from Best MCF Game Ever! I have been playing hidden object games since 2010 and this was one of the first games I played. 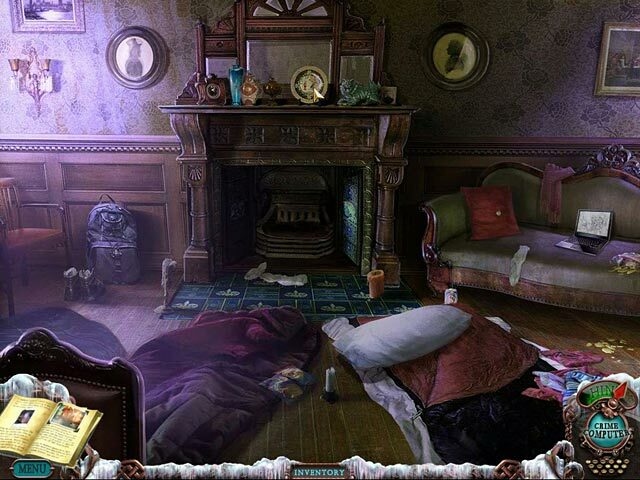 I have played many hidden object games since and I still go back and replay this one! You will find it exciting, scary, challenging, and very hard to quit playing it once you start! The graphics are so great that even if you play during the summer it will make you want to put a jacket on! If you are a beginner I recommend that you play the trial game first!